For reception, a hardware-aerial diversity system always switches to the better aerial signal and for transmission always uses the aerial that was last used for reception. This ensures that the return channel data are sent via the better positioned aerial. 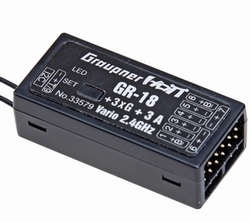 Without add-on sensors, the parameters receiver voltage and temperature, as well as signal strength are transmitted.